Not many press releases make me cheer. But, last week’s announcement that Hanoi is to host the 2019 Asian Games had exactly that effect. No, I did not have a bet on; and I have nothing against Surabaya, the Indonesian city Hanoi beat in the vote at the Olympic Council of Asia (OCA)’s general assembly in Macau. My excitement had more to do, first, with what the Vietnamese capital represents for many of us who came of age in Europe in the 1960s and 1970s and, second, with what I found in the country, particularly the grey, damp, chilly north, when I spent a couple of weeks there in 1996. Regardless of whose statistics you believe, the northern half of this elongated, cobra-shaped country took a fearful pounding during that cruel, misguided war. It seems to me a matter for the most heart-felt celebration that the theater of these hostilities should be judged ready, half a century later, to provide the playground for one of the planet’s foremost pageants of peaceful competition. What is more, Nha Trang, once home to a well-known air base, is set to host the 2016 Asian Beach Games. 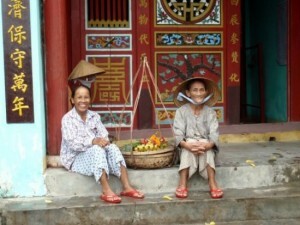 The people of Vietnam had an undemonstrative, but unshakeable, sense of self-belief. Given that 16 years have slipped by – somehow – since I visited Hanoi, it is pointless me attempting to pontificate on sports facilities, or the state of transport and tourist infrastructure; too much will have changed. However, I am confident that one priceless asset will not have changed since our plane departed Ho Chi Minh City’s airport: the spirit of the people. Those with direct experience of the war would no doubt rather they had not had to endure what they went through to acquire this mindset. But, now that it has been acquired, it strikes me as a pretty formidable national, or semi-national, quality. Their experience seemed also to have left the Vietnamese with a resourcefulness which meant that, though nominally ruled by Communists, this was one of the most business-minded societies you could experience. Personal computers, then few and far between in the north, appeared to be in use 24/7, by friends and neighbors when not their actual owner; minibus drivers, who provided the most efficient long-distance transport service for backpackers, routinely struck deals with hoteliers in destination-cities for depositing foreigners (i.e. custom) at their particular hotel. Especially in the north, and in spite of that language barrier, we found evidence too of a quirky sense of humor many Europeans would empathize with. Soldiers at the Ho Chi Minh mausoleum, for example, no doubt under orders to remain stony-faced, were clearly trying to make each other laugh as they escorted gawping tourists during their visit. Unexpected incidents like that helped to build a picture of a nation capable of getting through most things with dignity and a smile. Laying on the 18th Asian Games ought to be well within its capabilities. Contact the writer of this story at david.owen@insidethegames.biz. This article is from Inside the Games, which is a blog of the organizers of the London 2012 Summer Olympics. It can be viewed at http://www.insidethegames.biz/.